First and foremost, it's an honor to talk with legend and composer for some of my favorites scores and music of all time... please welcome "Craig Safan"! 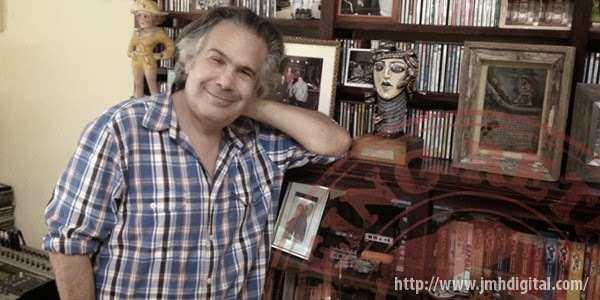 Craig Safan has recently won the "Basil Poledouris Award For A Film Music Legend" and he stops over to chat with us and once again THANK YOU! Howlin' Wolf: First thank you for you time and congratulations on your recent win "the Basil Poledouris Award For A Film Music Legend", how does that make you feel and did you know Basil Poledouris? Craig Safan: Receiving the Poledouris Award is a great honor… although I’m not sure I’m ready to be a legend! I did know Basil… we came up as young film composers at the same time and our paths crossed often. Howlin' Wolf: Coming up on the 30th year for the great film and score for "The Last Starfighter", out of all your work this might the one people most remember... now you have had a great body of work in your career. So what do you like the most from your library of scores/soundtrack, do you think we might get a compilation that spans your work? Craig Safan: I put together a compilation of some of my favorites a while back with the help of Doug Fake from Intrada Records. It was entitled “Craig Safan Film Music”. My favorite scores still include “Stand and Deliver”, “Son of the Morning Star”, “Remo Williams”, “Mr. Wrong”, “Major Payne”, and of course “Starfighter”. I also like “The Legend of Billie Jean”, “Burden of Proof”, and “Mission of the Shark”. Also, right now, I’m enjoying listening to “Warning Sign”. Howlin' Wolf: Who do you listen to from composers, to group/bands or artists...why? Craig Safan: I listen to almost every type of music except country-western. I love the old bands from the 1920’s and 1930’s, Local Natives, and Flaco Jimenez. I’ve also been listening to Vaughn Williams and Arvo Part. Howlin' Wolf: From vinyl to mp3's where do you see music heading and do think it's easier for composers/artist to have more control of their musical creation? This kind of going to back to the compilation of your work, maybe being available on your personal website. Craig Safan: I think composers/artists who are releasing their own music have way more control of their musical creations. However for composers working in film music, I believe they have less control than ever. This is because so much can be done by editors and directors with programs like Pro Tools. This extensive use of “temp tracks” usurps the traditional input of the film composer. I’m just beginning to totally redesign my website and, yes, I will post a compilation of my favorites. 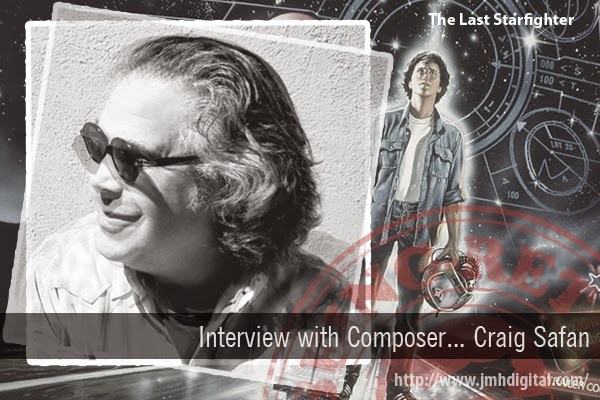 BIO: Craig Safan has composed the music for over thirty feature films including MR. WRONG, STAND AND DELIVER, MAJOR PAYNE, NIGHTMARE ON ELM STREET IV, REMO WILLIAMS, and THE LAST STARFIGHTER. For the small screen, Craig is best known for his work as the composer for the series CHEERS for which he was awarded eight ASCAP Top TV awards, as well as for his music for LIFE GOES ON, which earned Safan an EMMY® nomination. Craig is a graduate of Brandeis University and was the recipient of both the Senior Prize in Drama and the Senior Prize in Music. He was also the recipient of the Thomas J. Watson Fellowship, which allowed him to independently pursue his music in London after graduation. 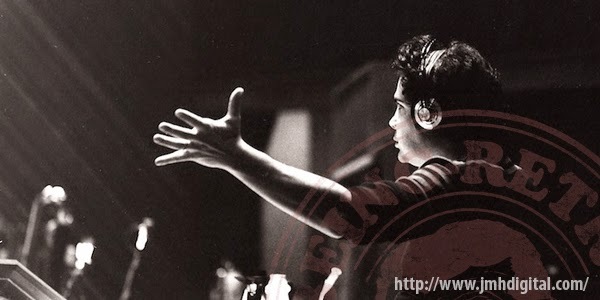 Craig has given seminars or spoken at The American Film Institute, USC Film School, ASCAP Film Music Workshop, Berklee College of Music, and UC Santa Barbara. Safan is a member of the Academy of Motion Picture Arts and Sciences, where he sits on the Music Executive Committee of the Academy. For many years he was part of the President's Art Council at Brandeis University. Craig also serves on the Selection Committee for the Thomas J. Watson Foundation Fellowship in New York City. Craig and his wife, Linda Safan, are actively involved in Disability Rights issues and were recently awarded a Certificate of Commendation by mayor Anthony Vallaraigosa of Los Angeles as well as by County Supervisor Mark Ridley Thomas for their work in founding the Circle Of Friends, a nonprofit organization that pairs disabled and non-disabled students throughout California and other states. What a cool interview! I'll have to check out his music. The name rings a bell. I should check out his music.